It seems difficult and yummy… but its very easy and a bit of time consuming. Firstly take the colours in three different bowls and mix them in 2-t-spoon milk so that it get dissolve properly. Pre heat your cooker and idli maker, for that Keep your cooker and idli maker over the flame, place the stand inside it and cover the lid of both. Put some melted butter in baking dish spread it around, also add plain flour and grease with it. Now take a big bowl add plain yogurt and butter(oil/ghee) mix it well . Put sugar and again mix it. Now in other bowl sieve plain flour, baking powder and baking soda and mix it in the previously made wet mixture. Now add remaining milk part by part to make the batter of pouring consistency. Mix the batter well and make it lumps free. 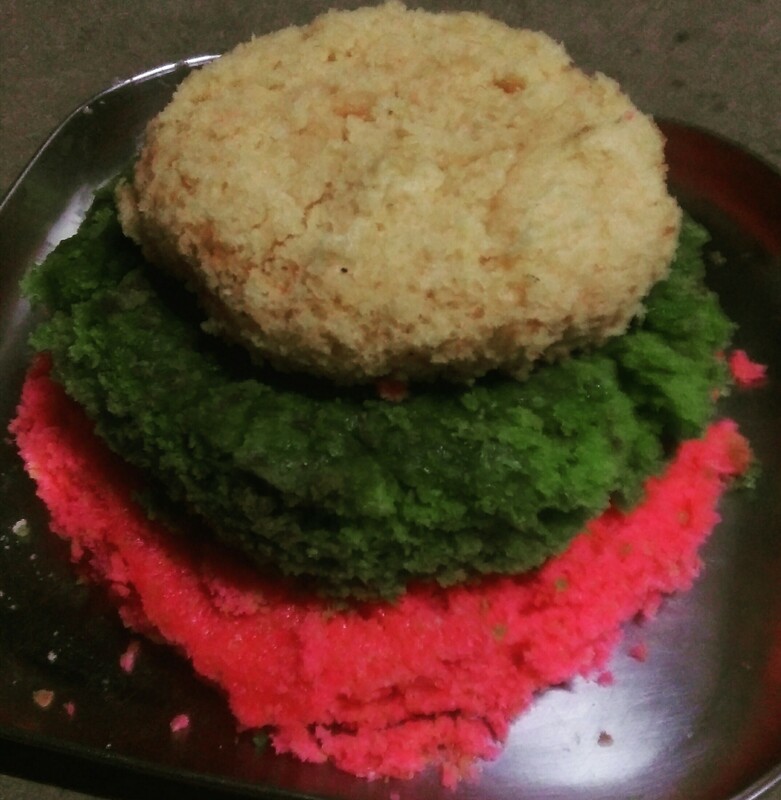 As it need three cakes of different color.. so what you have to do is divide the cake battar in three equal parts and mix the food color in each part. And now your three color cake batter is ready. Pour it in the 3 different baking dish and bake it. For baking place your baking dish in pre heated cookers and in idli maker. Bake it directly in gas in low flame for 30-40 mins or until the toothpick comes out to be clean. And your colorful cake is ready. 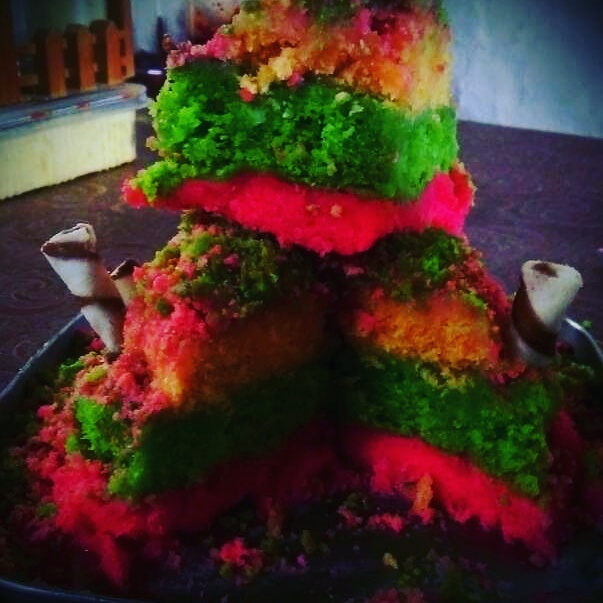 Here you can use any color and any size.. and with the same you can go for rainbow cake…!! Do the icing as you need or you can go without icing… I am dam sure it’s gonna rock like this only…. You can ask any query for the receipe.